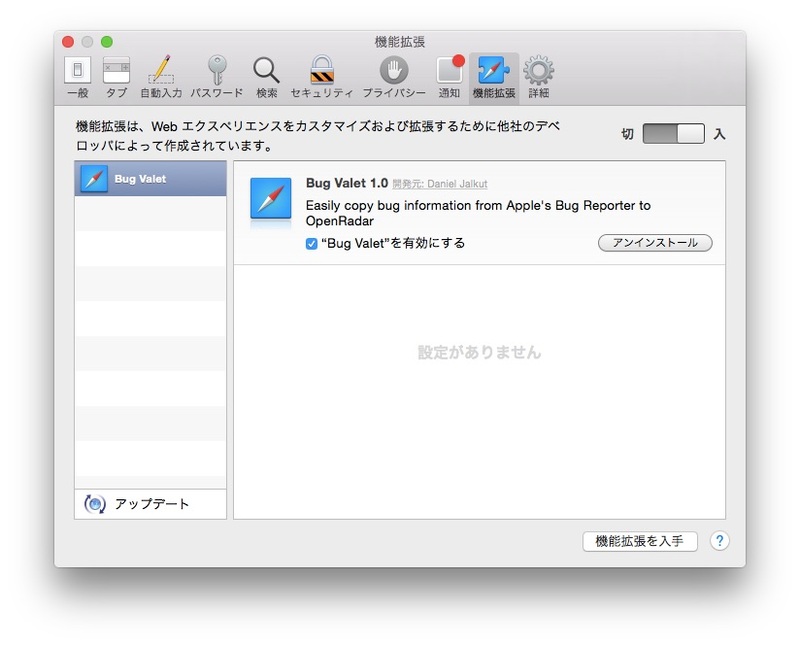 開発者向けのApple Bug Reporterに投稿した内容をそのままOpen Radarにコピーして投稿できるSafari 機能拡張「BugValet」がリリース。 | AAPL Ch. With the plugin installed, you will find an additional button in the user interface when examining your own (already filed) bugs in Apple’s Bug Reporter. 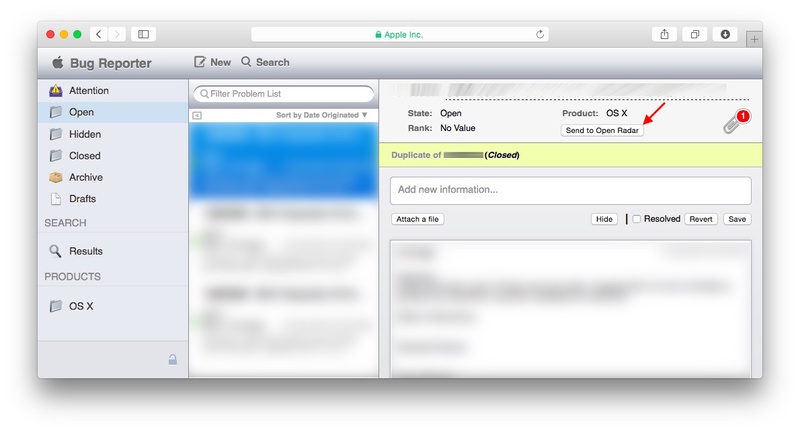 Select a bug from your list by clicking on it, then find the button labeled “Send to Open Radar”. 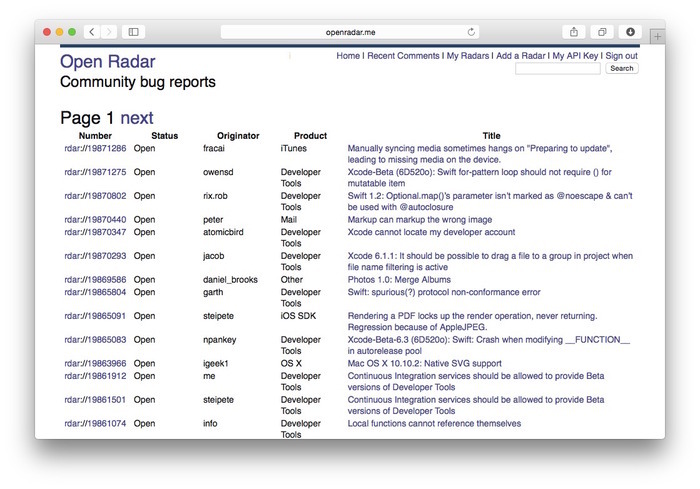 Click the button to open a new tab to Open Radar, where you will find the “New Radar” form pre-populated with some of the most important information from your bug report.